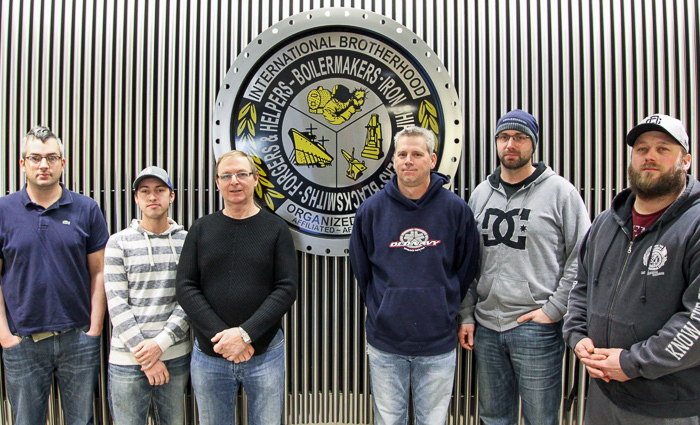 MORE THAN 70 Boilermakers from across Canada received steward training between October 2014 and February 2015, according to International Rep Richard MacIntosh, who led the instruction. Ten lodges sent members to the training. On October 4, 2014, 16 members of Lodge 191 attended the Basic Class in Victoria, British Columbia. Participants included Mike Baker, Brian Crawford, Bob Gillespie, Peter Herschmiller, Jan Jansen, Samuel Kobierski, Cory Lyle, Perry Miller, Adam Schmok, Don Schuring, James Scott, Shane Skirrow, Robert Taylor, Don White, Gordon White and Tyler Williams. 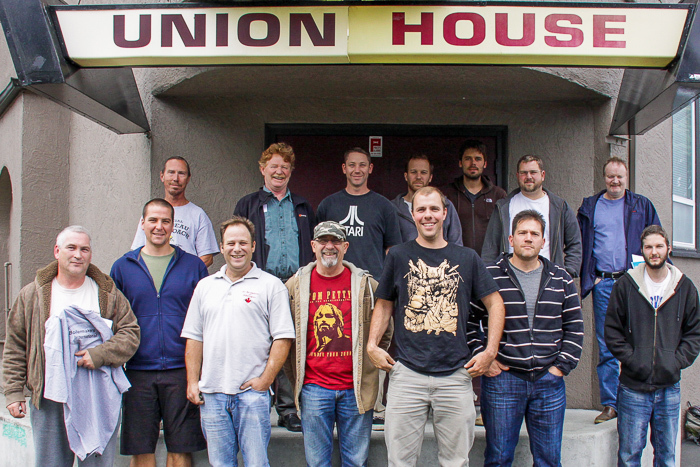 Receiving training Oct. 18-19, 2014, at Local 146 (Edmonton, Alberta) were David Cubrilo, Andy Gogol, Anthony Johnson, Kevin Jones, Darcy Kooznetsoff, Jack Larsen, Brent Latam, Curtis Manning, Richard Ouellette, Jordan Thompson, Grant West and Ryan Yaremchuk. Attending the workshop Oct. 22-23, 2014, at the Local 128 training center in Burlington, Ontario, were, from Local D366, Jameson Amaral, Tony Andrade, Jason Boles, Josip Boras, Derry Harris and George Ribble; from Local D387, Jason Bosley, John Platt and Michael Vidito; and from Local D488 (Acton, Ontario), Jason Luedee, Mike Smith and Lincoln Trevail. 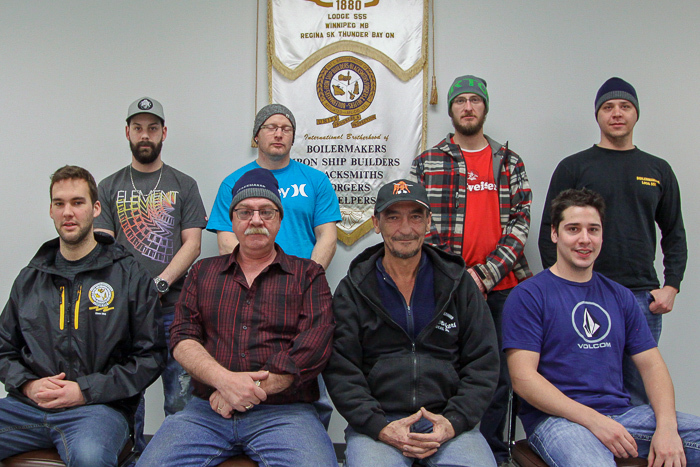 The first Steward class of 2015 took place at Lodge 146’s new training centre in Edmonton, Jan. 13-14. Attending from the lodge were Trevor Cappis, Westly Cullum, Louis Godin, Randy Hanlon, Andy MacDonald and Roy Whittleton. 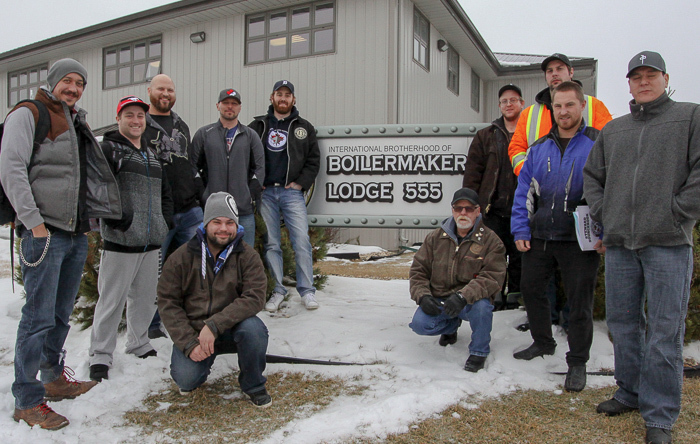 On Jan. 26-27, Local 555 members received training at the Winnipeg facility. They included Sam Delorme, Justin Graham, Rob Kinnell, Lyle Letandre, Aaron Payne, Mike Petrasko, Eugene Sabot, Garry Schunemann, Ryan Sellar, Hugh B. Smith, J. Dallas Thompson and Nick Wiebe. On January 28-29, members from three lodges attended the Basic Level class hosted by Local 555 in Winnipeg, Manitoba. Included were Don Fisher, Local D359; Curtis Gunther and Leroy Meisner, Local D575; and from Local D274 (Baltasak Area), Dwayne Bochen, Steve Hruden, Trevor Kidd, Joseph Manzano and Larry Tober. Members of Lodge 359 (Burnaby, British Columbia) participated in a Feb. 23-24 class at the lodge’s training center. They included Philip Generoso, Dan Johnson, Chris Lazenby, Curtis McKee, Matt Neufeld, Kohle Olson, Dexter Staples, Will Wallace and Adrian Wasikowski.